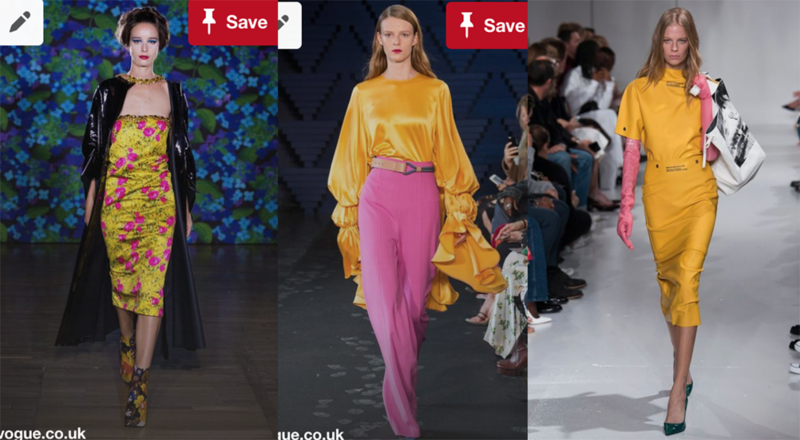 Featured all over the S/S18 runways, yellow is proving to be the colour of the season. 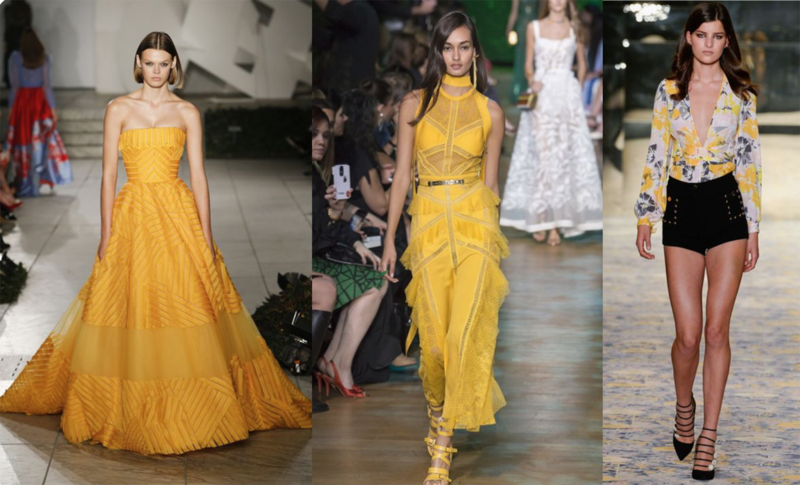 While Pantone has named Meadowlark 13-0646 the key colour for S/S18, every variant of yellow appeared on the runways. 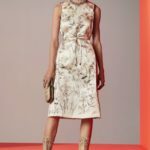 Golden egg yolk made a big statement in head-to-toe ensembles from Carolina Herrera and Elie Saab, while enlivening floral prints at Alice McCall. Pops of highlighter yellow were right at home in the athleisure infused world of Fenty x Puma. 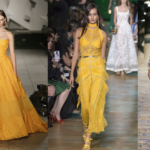 Subtler shades of yellow were also present, adding freshness to the flowing chiffon pieces of Teresa Helbig and the delicate lace of Chanel. 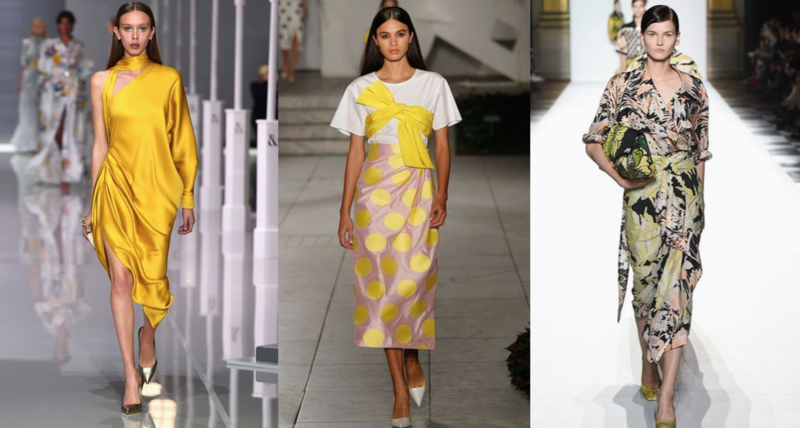 Pastel yellow also appeared as a ground for feminine floral prints at Carla Ruiz and Self-Portrait. 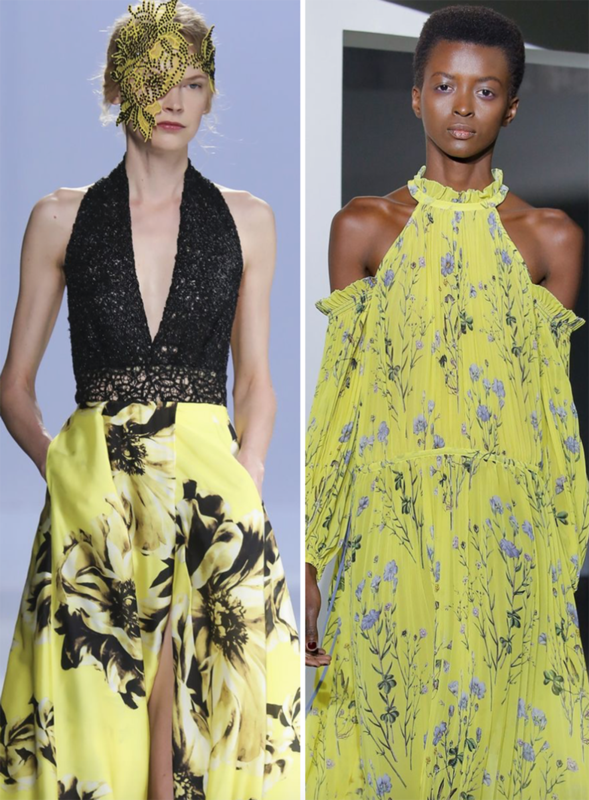 This pairing of yellow and black is one of the key colour combinations of the season. From all over looks to prints, yellow infused every surface.